The Check Ride stage, is also mandatory, can be undertaken at any time following the issue of your learner permit. The Check Ride must be taken at least one calendar month before obtaining your motorcycle license. It consists of 3.5hrs of training on-road and on our training range. 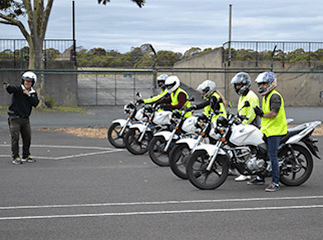 This course is designed as a preparatory stage which will enable the rider to ensure that his/her road safety skills and practical skills are of a sufficient level to allow safe and successful completion of the Motorcycle Licence Assessment (MLA) which can be taken one month after completion of the Check Ride stage. * (other conditions apply). The Check Ride is conducted with our normal 5 to 1 Student/Instructor ratio and the first stage is a number of exercises conducted on our training range covering correct steering inputs, effective use of vision and eye direction, braking and cornering techniques and simulated road-riding exercises. 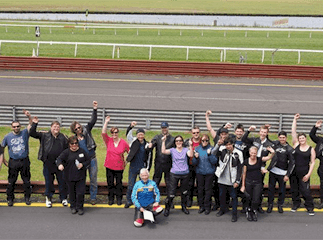 The instructor will provide each student with a feedback sheet on completion of the Check Ride which will outline any areas which may require attention and practice prior to undertaking the Motorcycle Licence Assessment. Best Course Ever!! Patient & comprehensive instruction by clearly experienced trainers took me from having never ridden a motorbike to confidently passing my Learners in just 2days!! Wow! The staff were really great. The facilities were great and the bikes and gear that we were provided with were excellent. This course is highly recommended. This was a bucket list item. Thoroughly enjoyed the experience and would be happy to recommend anyone to Ridetek, wanting to ride a motorcycle. I originally did my learners with Ride-Tek and from that experience I booked in to do my full P’s purely due to the service. Ride-Tek do a great job of training riders. They don’t just deliver a generic program, but assess where your skills and confidence are at and tweak the motorcycle training to your needs. Our success rate is over 90% for course participants. 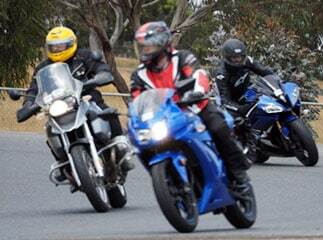 We offer our customers a lifestyle not just a Motorbike license. The Check Ride must be taken at least one calendar month before obtaining your motorcycle license. 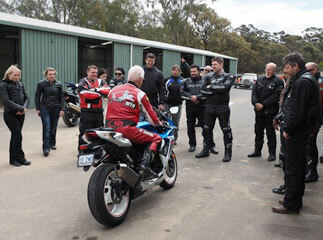 It is an opportunity to hone your skills prior to Motorcycle Licence Assessment. Copyright © 2019 Ride-Tek MTA Motorcycle Training Academy. All rights reserved.